If Mikaela Shiffrin continues to race as well as she has been, she is setting herself up to be the biggest star of the Pyeongchang Olympics. Not just of Alpine skiing, but the entire Winter Games. To put it simply: She is about as close to unbeatable as can be right now. 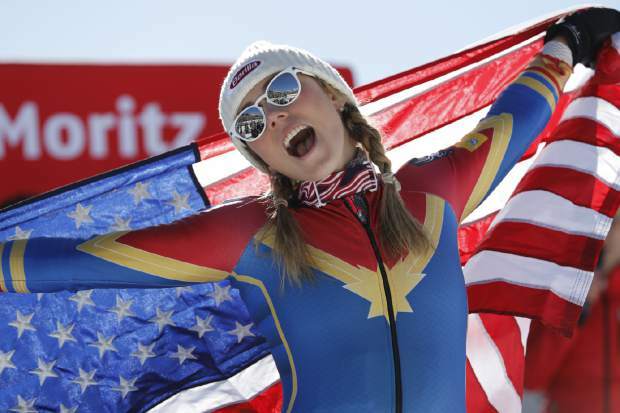 Shiffrin, a 22-year-old American, won the first five women’s World Cup races she entered in 2018, and seven of her past eight on the circuit, competing against the best the world has to offer and outclassing them time and again. And Shiffrin is not merely winning — she is overwhelming opponents, sometimes collecting victories by more than 1.5 seconds, a large margin in a sport often decided by hundredths. Born in Colorado and raised in New Hampshire and Vermont, Shiffrin was 18 at the 2014 Sochi Games when she became the youngest Olympic slalom champion in history. Her 41st career World Cup race win, which came in January, equaled the highest total for a ski racer under 23. Now she heads to Pyeongchang as an overwhelming favorite to be the first to win consecutive slalom golds. What’s more, she will be a contender to win the giant slalom and combined, too , for a chance to match the Alpine record of three titles at one Olympics. It’s possible that she could enter the super-G and downhill, too, which would make her something never seen these days: a five-event threat. Shiffrin’s U.S. teammate Lindsey Vonn was supposed to be the one to watch at the Sochi Olympics but never got the chance to defend her downhill gold medal from Vancouver in 2010 because of a knee injury. Back on the sport’s biggest stage for the last time at age 33, Vonn can add to her legacy as one of the all-time greatest ski racers (she owns a women’s record 78 World Cup wins) by earning one more medal in a speed event, downhill or super-G.
Marcel Hirscher is as dominant among the men as Shiffrin is among the women. The Austrian has won an unprecedented six consecutive overall World Cup ti tles and appears on his way to No. 7. As of mid-January, he put together a five-slalom winning streak. “He is just better. That’s the way it is,” said Henrik Kristoffersen, a Norwegian who perpetually ends up in second place, behind Hirscher. But for everything he’s done, Hirscher has yet to win an Olympic gold medal, despite four top-five finishes in slalom or giant slalom at Sochi and Vancouver. Some folks to keep an eye on who could spring a surprise include Petra Vlhova of Slovakia, the last person to beat Shiffrin in a slalom race before the American’s lengthy winning streak; Sofia Goggia of Italy, who will be making her Olympic debut but won two World Cup races on the mountain in South Korea in March 2017; Michael Matt of Austria, whose older brother Mario defeated Hirscher for the gold in slalom four years ago; Andrew Weibrecht of the U.S. (nickname: War Horse), who came out of nowhere to pick up medals in 2010 and 2014 and maybe — just maybe — could do it again. After a U.S.-record six Alpine medals (one gold, three silvers, two bronzes) across five Winter Games appearances, and one infamous boast about partying “at an Olympic level” at the 2006 Turin Games, Bode Miller will not be on the slopes in Pyeongchang. He will, however, be offering his thoughts on TV, which should be insightful and entertaining. Other familiar faces who’ll be absent: Tina Maze, a Slovenian who won two golds four years ago; Maria Hoefl-Riesch, a German medal who collected three golds and one silver at the past two Olympics; and Ivica Kostelic, a Croatian with four Olympic silvers. A team event is being added at the end of the Olympic Alpine schedule for the first time. Some athletes — notably, Shiffrin — have said they doubt they’ll participate, but it could be a way for ski racers who had a disappointing Olympics to make one last bid for a medal. AP Sports Writers Graham Dunbar and Pat Graham contributed to this report.